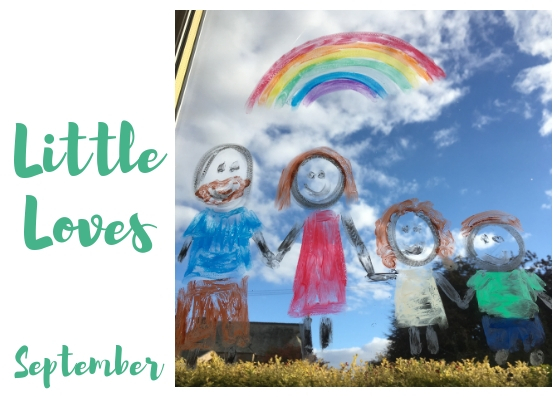 As it's getting into autumn time and we've been enjoying conker gathering, we have started to cosy up with some autumn reads. BookBairn adores the character in Tidy by Emily Gravett and we have been reading this one most bedtimes at the moment. Personally, I sympathise greatly with Pete, the badger who likes everything neat because anyone who knows me, will know I like things neat. So when all the leaves falls off the trees in Pete's forest, I completely understand why he felt the need to tidy them all away. And then I can understand that the trees look rather scrappy without their leaves on them. So they get tidied too. Until the forest becomes a concrete abyss. Badger has taken it a little bit too far. But is it too late? With humour and delightful illustrations, this is a lovely autumn read. BookBairn just loves this story so much! The Wee Page Turner is just loving the classic Dear Zoo by Rod Campbell, just as much as his sister did! I guess it's a classic for a reason. He has long been able to lift the flaps by himself but now he is trying to imitate the noises of the animals which is so sweet as he isn't really talking very much yet. If you don't know the story, it's about a zoo which sends lots of inappropriate animal pets in large colourful crates (which you lift the flaps to see what's inside) until finally they think very hard and send the perfect pet. Wtih bold colourful flaps set against plain white backgrounds, it's perfect for little peepers to get excited and find the flaps easily. The repetitive text is great for older tots to join in with the reading of the story. It also has a great surprise at the end! #nospoilers but you quite probably already know! I have read two really great books this month! 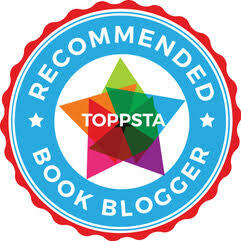 Firstly, I adored Power to the Princess by Vita Weinstein Murrow & Julia Bereciartu which features 15 princess stories retold where the princesses are bold, funny, smart and kind and where they can do anything they set their mind to. I really enjoyed reading the stories (even though they are aimed at readers aged 5-11) and loved the diversity of the illustrations. I loved the stories of Cinderella fighting for the rights of workers, and the Little Mermaid's concern for clean oceans as well as Belle coming down hard upon the witch who cast the spell on the beast, after all that's no way to treat someone even if they were unkind to you! I think sometimes it's great for children, who are already familiar with the characters and stories, to see a different way of tackling a problem and ultimately that not every story that has a 'happily ever after' needs to have a prince and a wedding. We can choose our own happily ever afters! 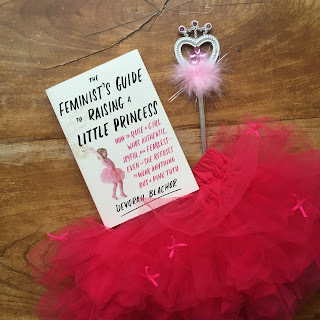 On a similar sort of theme I also enjoyed reading The Feminist's Guide to Raising a Little Princess by Devorah Blachor which was a witty take on looking at concerns about empowering our daughters to be authentic, joyful and fearless even if she refuses to wear anything but a pink tutu and is fascinated by princesses! This was such a fun and easy read as well as sharing some interesting analysis of princess culture and the effect it has on society and our little girls in particular. I really enjoyed learning a bit more about the history of the Disney princesses as well as the retellings of the stories in a similar vein to the retellings in the Power to the Princess book I just mentioned. And it made me think a little more about letting BookBairn enjoy her princess fascination without worrying about whether it would have a negative influence on her or prevent her from becoming a mighty girl herself. In short, it won't. For more of our favourite reads you might want to check out our Favourites Shelf blog post and keep a look out for our updated list which I hope to get shared next week. Every month I struggle to think of something to write for this section as we tend to watch the same things over and over. We don't go to the cinema as the kids are still a bit young for that and we don't often watch movies. We watch a lot of CBeebies! And hooray for that! Because it's how I get stuff done. With cooler days means new jumpers! I had a wee shopping splurge for The Wee Page Turner as he has outgrown most of his jumpers from the cooler weather we had in Spring and I think they are super cute as he looks so grown up and a lot like his daddy. And BookBairn got an adorable jumper and skirt set that is just like a jumper she had last year but with red hearts instead of black ones and she looks so adorable in it I would love one in my size! We also stocked up on tights and a new coat for her. The Wee Page Turner is in need of a new winter coat too so I'm looking for one for him after I finish writing this post! I don't think of myself as a creative person and I struggle with mess. So doing craft activities with my kids doesn't come naturally. But what I am good at is 'bookish play'. No mess, no fuss, and books at the centre of the activities. And I shared five quick, and almost mess-free ideas, for ways we celebrate books in our play in a blog post linked here. Our favourite is definitely the Dear Zoo puzzle as I mentioned it was one of The Wee Page Turner's favourite books this month and he loves lifting the flaps on the puzzle too. One of the things I have been trying to do this month is to make a conscious effort to put my phone away and play with the kids more. To get down on their level and join in or play side by side with them. I find myself often so busy doing other jobs or scrolling on my phone and it's something I want to try to stop doing so much of. And it's way more fun! One of the things that the kids have been really enjoying is the Super Simple Songs channel on YouTube. It has lots of different nursery rhymes and songs sung in a really cheerful way with bright bold cartoons to go with it. And it's hypnotising for them, which is pretty amazing as The Wee Page Turner really doesn't sit still for very long! And although it's immensely cheerful I don't find it grating and find myself singing along. I also love to hear BookBairn singing along too. That always makes my heart soar! I just wanted to say a huge thank you to everyone who has followed my on Instagram as I've now reached over 10,000 subscribers which feels like a huge achievement. I love interacting with the community on there and it's taken my three years to reach such a big number. I love that there are so many wonderful people who are passionate about children's books and love reading with their kids! So thank you very much. Also you will have noticed that I'm starting to use affiliate links in my blog posts and I just wanted to explain how that will work. Simply, if you purchase a book priced about £4 I will make around 20p - it won't cost you any more so it's just Amazon.co.uk giving me a small fee for sending you to them via my link. You don't have to use the link obviously but think of it as a 'tip jar' - I'll tip you off to the best books by using the link you are asking Amazon to give me a tip in exchange. But as I say you don't have to use any of those links. I will also disclose in my posts if I have used affiliate links in an effort to be completely transparent about it. That considered, you should know, I will most likely spend any earnings on more books. I have a bit of a thing about books, if you hadn't noticed, so thank you for supporting my 'book habit'. I'm looking forward to getting spooky in October! Hope you've had a lovely month. Disclaimer:I was sent Power to the Princess for free for review purposes by the publishers. Words and opinions are my own. If you click on the title or image of the book you will be sent to Amazon.co.uk using an affiliate link. This means that if you choose to purchase on Amazon.co.uk, I will receive a small sum (around 20-70p per book) from amazon at no extra cost to you. I understand that you may not want to use an affiliate link, but if you like reading our blog please just think of it as a small tip for a tip-off to an awesome book. And know that your support means I can buy more books! For more information check out our 'For Our Readers' section. Haha!! I think there are a lot of tidy people who sympathise with Pete! Believe it or not - I read “Harry Potter and the Philosopher’s Stone”. my USA shirt because I got fed up with the home crowd cheering the American players’ bad shots. with BookBairn and the Wee Page Turner in the garden recently. Lots of fun. BookBairn just loves Hide and Seek. 3 birdies in a row to win the money from one of my Pro golfer friends (who will remain nameless). it was great to see the Wee Page Turner climbing stairs and sliding down shutes. Did you finish Harry Potter? And what did you think? Well done on the golf. And lots of lovely kid memories there!